The 5 biggest European Transfers this January? Are these going to be the big transfers in the January transfer window? It was purported to be one of the biggest deals of the summer, but Coutinho’s move to Barcelona never materialised before the window shut. The Brazilian tried his best to force through a move to the Catalans, as he was all set to be one of the replacements for Neymar along with Ousmane Dembele. 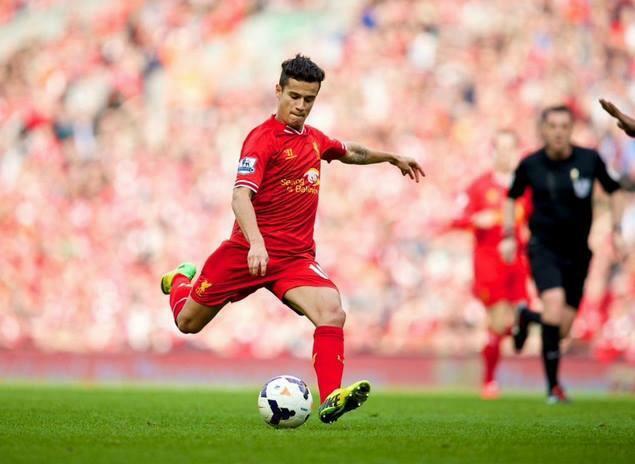 Coutinho remained at Liverpool, but his future still remains as unclear as ever. Jurgen Klopp protected the player soon after the window shut, with Coutinho reportedly out with an injury but it was evident the player did not have his head at the club. Time has gone on and the attacking midfielder has knuckled down, but Barca remain extremely keen on the player who is a long-term target. It would of course take an extremely sizeable bid to bring Coutinho to the Camp Nou, but with plenty in reserve from the Neymar sale there should be no problem for Barca on that front. Liverpool will of course dig their heels in and not want to lose arguably their best player when they are in the Champions League and continue to battle away in the Premier League. Let’s look at Liverpool’s situation here: with almost a quarter of the season gone, that 4-1 defeat at Spurs last time out leaves them as a distant option at around 66/1 for the title. A more realistic price is the 6/4 on Klopp’s men to qualify for the Champions League but without Coutinho, punters are looking at promos and free bets as a more sensible betting option even at that relatively short figure. "If there is interest in signing any player in January who's not here at the moment, I wouldn't like it to be broadcast all over the world,” said Barca boss Ernesto Valverde recently, as he refused to rule out a deal for the 25-year-old. With PSG’s incredible spending spree stunning the football world, they have a few matters at hand when it comes to selling players. There’s a jam-packed squad at the Parisian giants and one of the players first to go could well be Javier Pastore. The Argentinean is one of the longest-term players at the club and has seen many players come and go over the years, while remaining an integral part of the team. That appears to be the case no longer under Unai Emery however, and Pastore has found his minutes severely reduced at the club. It’s not ideal for the former Palermo man, who has ambitions of being a key man for Argentina at the World Cup. His gesture before the start of the season, when he gave up his number 10 jersey to new signing Neymar as a welcome gift, was kind but it also offered up a glimpse of his future at the club. The Argentine has reportedly been told he is free to leave the French capital in January and the Premier League could be an ideal destination, with Chelsea and Liverpool the names being mentioned. He may currently be sidelined in Serie A and unable to replicate his incredible goalscoring from last season, but Andrea Belotti remains a man in demand. With Chelsea now out of the picture after opting for Alvaro Morata, it opens up the market for the powerful Torino hitman who has been likened to Christian Vieri. Milan’s sporting director Massimiliano Mirabelli has not given up hope of signing Belotti and will reportedly look to close a deal in January, as their new project fails to get off the ground. The 23-year-old has a clause in his contract which would allow him to join any club abroad for €100m, but while there is no such catch for Serie A clubs, it will not put off Milan. Belotti’s a powerful, profile striker who can not only play as a target man but also provide presence all across the attack with his mobility and penchant for unsettling defences with his hard working, energetic approach. Goals are his main currency however and Belotti was Serie A's third highest scorer last season with 26 goals. Alexis Sanchez’s desire to move away from Arsenal to Manchester City is the worst kept secret in football and after a deal failed to be finalised in the summer it’s expected that Pep Guardiola will come back in for the Chilean forward. This is despite City already being prolific in front of goal with their Sergio Aguero and Gabriel Jesus double act. Sanchez is desired by Guardiola to add more firepower and also link together the midfield and his forward line. The Arsenal man is reportedly wanting a significant hike in wages too, something which City will have no problem in providing. For now Sanchez remains in north London and his every move is under the microscope, and with a broken relationship reportedly in place with Arsene Wenger the situation can’t go on for much longer. There is also the small matter of a contract winding down and Arsenal risk letting a world class performer go for absolutely nothing - along with Mesut Ozil who is seemingly in a similar situation to his teammate. City remain confident of getting their man this time around and even at the cut-price fee of £20m. Like so many moves in the summer, Virgil van Dijk’s transfer saga saw him linked heavily with Liverpool. Ultimately things didn’t transpire as the Dutch defender desired and he begrudgingly remained with Southampton. The saga has taken many twists and turns, including Liverpool being forced to apologise after making an illegal approach for the player. Van Dijk even went to extreme lengths in an attempt to push the deal through, including handing in a transfer request all the while emphasising his wish to join a different club. Van Dijk ending up staying on the south coast and and made his first appearance since being injured back in January as Southampton beat Crystal Palace. With Liverpool’s woes stemming from their lack of defensive strength it seems inevitable another twist will come in the form of the Anfield outfit once again pursuing the 26-year-old. Jurgen Klopp has come under heavy fire for his work at the back, and also not addressing the issue over the course of the summer.